How would you like to win a paperback copy of Suite Scarlett by Maureen Johnson? I have FIVE copies up for grabs!! When Scarlett Martin turns fifteen she is put in charge of the Empire Suite, one of the rooms in her family’s hotel. Enter Mrs. Amberson, an aging C-list starlet who decides to employ Scarlett. Soon, she is taking dictation, running around New York City, and getting caught up in Mrs. Amberson’s crazy adventures. In the midst of it all, Scarlett falls in love–or so she thinks–and it takes Mrs. Amberson to help her see the light. Now in paperback from top-selling author Maureen Johnson! -For U.S. Addresses only, sorry! -Comment on this post to enter. -Come back and comment again on this post for another entry-you may enter as many times as you want!! -Link me to your review of Suite Scarlett (or any other Maureen Johnson book) in the comments for +2 extra entries-I'll add a list of reviews on this contest page! Check out this video featuring Maureen Johnson! Also assuming that you meant to put July 20th...lol. Oh, I really love this one and the new cover is brilliant, so please enter me. Thanks for linking over at the carnival. I would love to win win win!!! Wow, SUITE SCARLETT looks great, I'd love to be counted in. Thanks! "-Come back and comment again on this post for another entry-you may enter as many times as you want!!" I want that book sooooooooooooo bad! Is this international? Because OMG I want to read this so bad!!! I posted a link to this on my sidebar! Ooo I would love to be entered in this one! Mmmm, free book. Yes, please. Thanks for holding this contest for such a great book by such a genius writer! 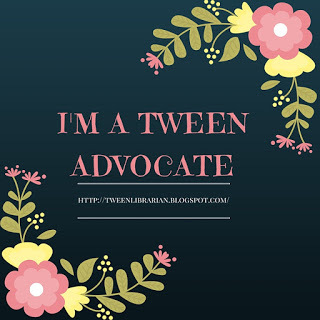 I'm posting a link to my blog! This book looks awesome--love the new cover! I've been meaning to read this book for forever! I haven't read this book, which is why I want a copy! I love Maureen Johnson...and as it happens, I don't have Suite Scarlett yet so I'm excited to eventually read it. Awesome giveaway! I love the pb cover. Looks like a good read, please enter me into this drawing. I seriously want to read this book! 13 little blue envelopes is one of my favorite books and I've read a few more of her books, but not this one! Thanks for the chance. I've also blogged about this giveaway here. This sounds like a good read! I would love to win! Suite Scarlett looks fantastic! Please enter me in the contest. Please let me win, lol! I haven't read this book yet. Looking forward to this book, as I enjoy anything with an 'urban adventure' vibe. Sounds like good, clean fun. This book looks so good. I'm going to enter again, what the heck. Oooh, enter me! And, vicariously, all my library teens! This book sounds like so much fun! Please enter me in the drawing. twittered the contest as well. I just read your review, and thought, holy crap did I NOT enter for this? Cause it sounds really good. So I scanned through, saw my name, and then saw that you can come back and comment again. So this is me doing that =D! i really thought i had entered this! huh. i tumbled about it! lol (therealfuries.tumblr.com) and tweeted (furies) a few days ago! yay! hopefully this works . . . Does it count if im a follower? Please enter me :) I really want to read this one. I want this book so bad!!! It's THAT amazing. Did I mention how much I love this book? I saw Harry Potter, anyone else?